*We have been notified that we are NOT allowed to park in the lots (Garage innovations to the tree) to the North side “G” Street. You may park anywhere along the street line, any parking area in our lot or the lot that faces Elm. 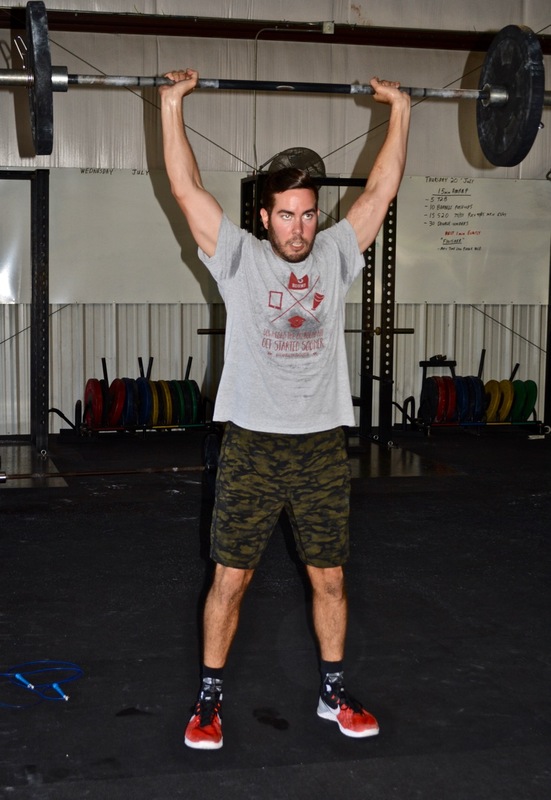 We are working to have spaces specifically for CrossFit Jenks’ members. We appreciate your patience and understanding. Post results for each WOD to responses. Our CFJ Annual Summer pool party, hosted by Allan and Angie Large, is right around the corner! This Saturday, July 29th at noon– Angie will supply the BBQ, please bring a side dish and beverage of your choice. Kiddos are welcome! We hope to see all of you there! Great job as usual Jennifer! You set a fast pace on those runs. Oh: 2.4 mile jog to the gym / 2.4 mile walk from the gym. Great job Jewel, it was awesome partnering with you!!! Fun workout, great job Greg!